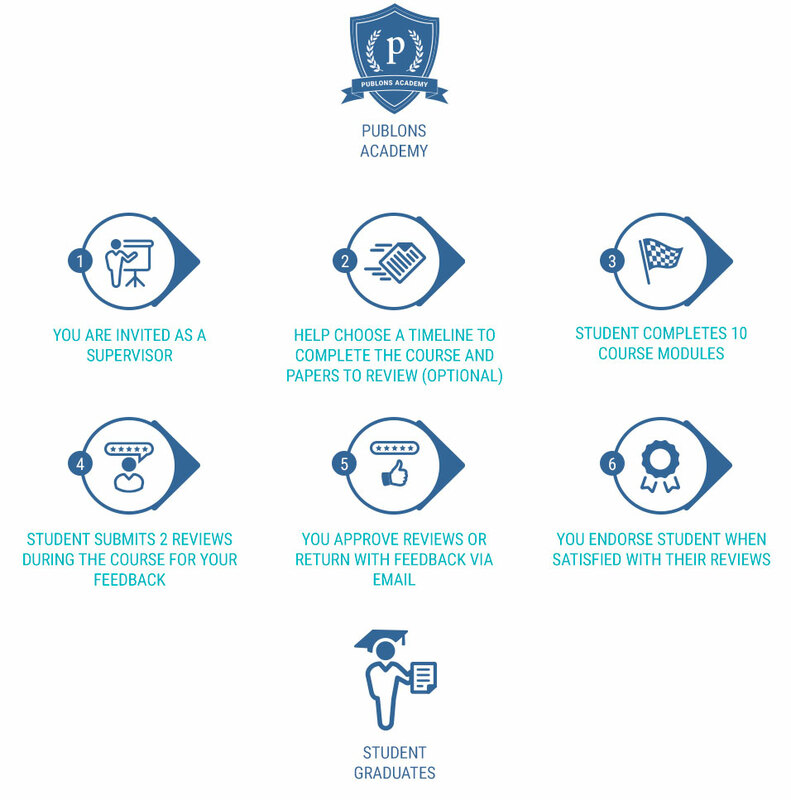 The Publons Academy is a practical peer review training course for early career researchers. Join our rapidly growing network of expert mentors and train the next generation of peer reviewers. Together, the academic community can improve scholarly communication by training new academics in peer review. Together, the academic community can improve scholarly communication by training new academics in peer review. At the Publons Academy, this means offering feedback, motivating and endorsing early career researchers for excellence in reviewing. I consider mentoring of early career researchers as central to my academic activity and look forward to mentor higher degree students and early career researchers interested in enhancing their skills as reviewers. I am happy to get the opportunity to interact with new reviewers, and students. Thanks to publons. My main objective is to transfer of my acquired experience during the review of large number of paper assigned to me. This is essential for ensuring that new reviewers target the critical issues in the review process. As a result, excellent articles that really add to the science will not be missed, and the authors get the correct scientific encouragement and recognition. "We often look at the reviews written by our youngest contributors and make decisions about our editorial board based on our experience with outstanding young reviewers."